If you've followed me on instagram recently you'll know I'm trying to eat healthier in 2016. And as part of this new healthy living regime, I've turned to smoothie bowls. I've been pinning different recipes and trying out lots of different bowls. 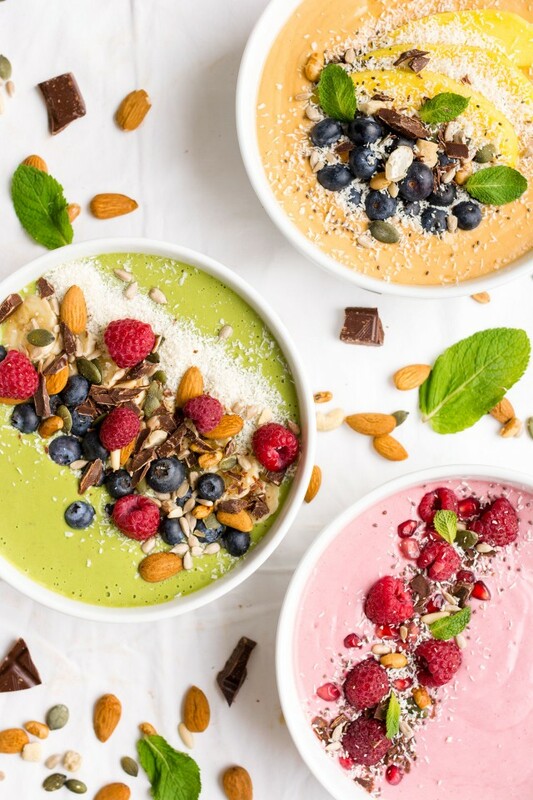 And then I came across Lauren Caris Cooks and her smoothie bowls 3 ways, and they were my favourite! So I thought I would share them with you. 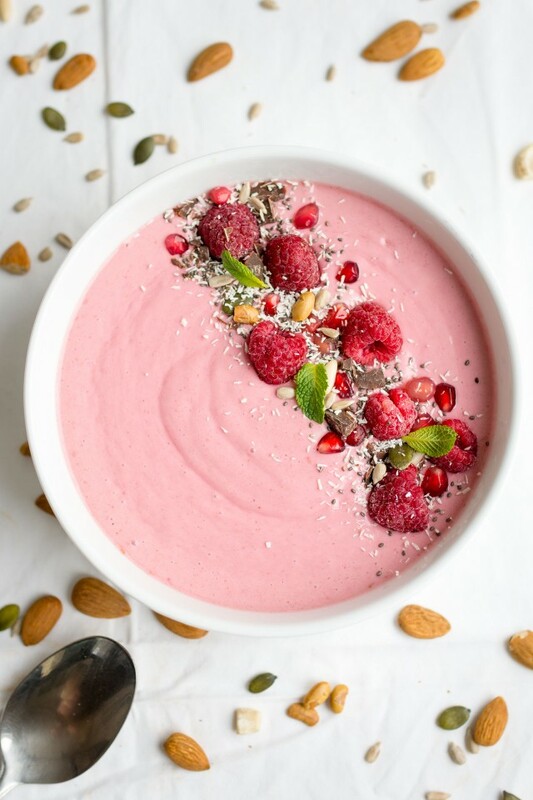 A vibrant pink smoothie bowl, full of natural sweetness will kick start your morning the sweet way. 1 cup (150g) Fresh Raspberries. Place all ingredients in blender and blend for 30 seconds or until completely smooth. Top as desired and serve. 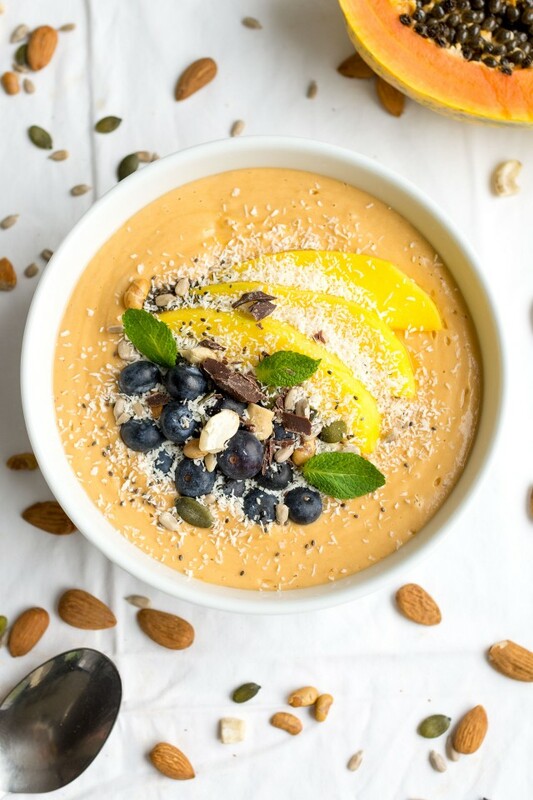 A bright, zingy tropical smoothie bowl that is sure to brighten up even the greyest of mornings! 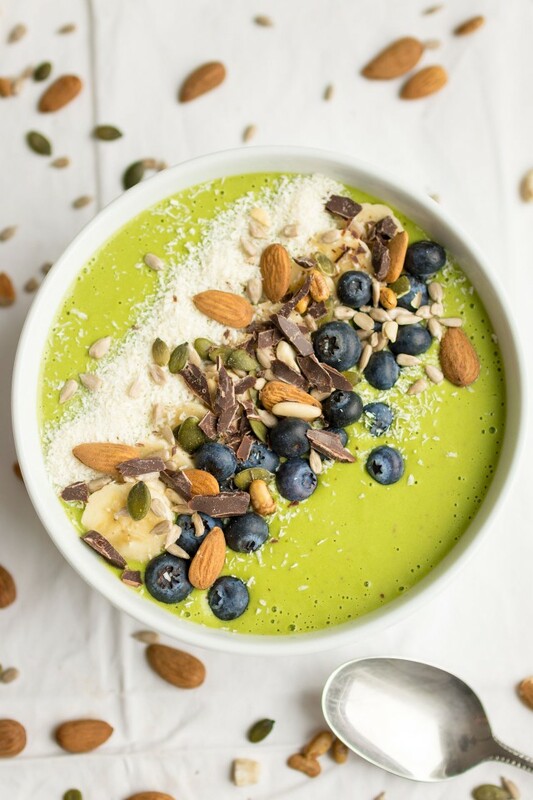 A green smoothie will give you a huge nutritional kick in the morning, and I promise, you can’t even taste the spinach!